Ram Charan is a world-renowned business advisor, author, and speaker who has spent the past 35 years working with many top companies, CEOs, and boards of our time. In his work with companies including GE, MeadWestvaco, Bank of America, DuPont, Novartis, EMC, 3M, Verizon, Aditya Birla Group, Tata Group, GMR, Max Group, Yildiz Holdings, and Groupo RBS, he is known for cutting through the complexity of running a business in today’s fast-changing environment to uncover the core business problem. His real-world solutions, shared with millions through his books and articles in top business publications, have been praised for being practical, relevant, and highly actionable—the kind of advice you can use Monday morning. Charan has authored 15 books since 1998 that have sold over two million copies in more than a dozen languages. Execution, which he co-authored with former Honeywell CEO Larry Bossidy in 2002, was a #1Wall Street Journal bestseller and spent more than 150 weeks on the New York Times Bestseller List. He has also written for such publications as Harvard Business Review, Fortune, Businessweek, Time, Chief Executive, and USA Today. Charan was elected a distinguished fellow at the National Academy of Human Resources and has served on the Blue Ribbon Commission on Corporate Governance. 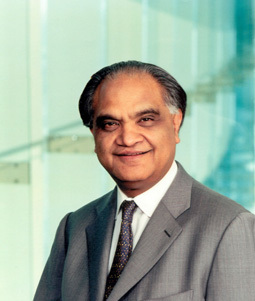 He has served on the boards of Hildalco in India, Emaar, Austin Industries, Tyco Electronics, and Fischer and Porter. His newest book, Global Tilt (Crown, February 2013), is a guide to leading your business through the radical shift in economic power currently underway.